If you're experiencing chronic pain, a doctor may recommend that you have a nerve block, a temporary or permanent procedure that disrupts specific nerve activity. It can help diagnose or treat certain types of neuropathic pain, or pain caused by nerve dysfunction or damage. Nerve blocks may be performed by injecting chemicals or anesthetics to the area or by deliberately cutting or damaging certain parts of the nerve. Many people receive nerve blocks without even knowing it. For example, dentists commonly use nerve-blocking agents such as novocaine to numb the mouth during potentially painful procedures. 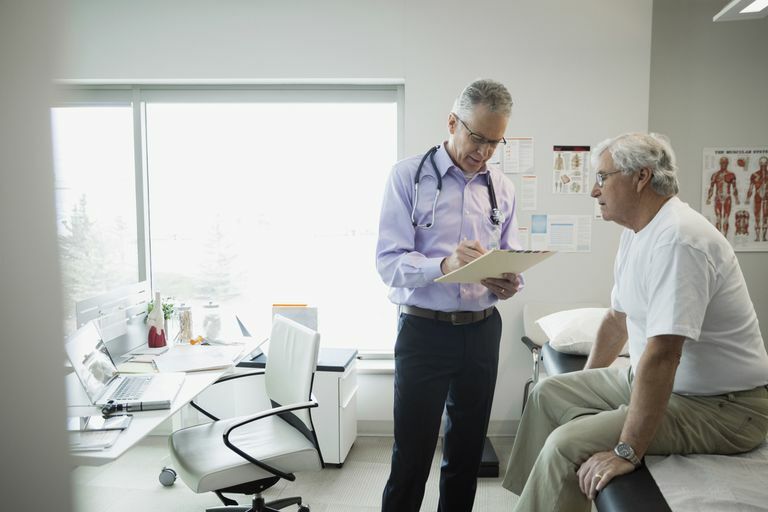 If your doctor is trying to diagnose a chronic pain condition caused by nerve dysfunction, he may use a nerve block to pinpoint the exact problem area. In addition to a nerve block, he may also perform an electromyography (EMG) and/or a nerve conduction velocity (NCV) test to narrow down the exact cause of your chronic nerve pain. Nerve blocks can also treat chronic neuropathic pain, such as pain caused by nerve damage or compression. They are regularly used to treat back and neck pain caused by herniated discs or spinal stenosis. Nerve blocks may be used to control pain temporarily or permanently, depending on the procedure used. A local nerve block is performed by injecting or applying local anesthetics, such as lidocaine, to a certain area. An epidural is a local nerve block that involves injecting steroids or analgesics into the area that surrounds the spinal cord. Though common during childbirth, an epidural may be also be used to treat chronic neck or back pain caused by a compressed spinal nerve. Local nerve blocks are usually temporary, although some may be repeated over time. A neurolytic block uses alcohol, phenol, or thermal agents, such as cryogenic freezing, to treat chronic nerve pain. These procedures actually cause damage to certain areas of the nerve pathway. This means a neurolytic block is usually appropriate only in severe chronic pain cases, such as cancer pain or complex regional pain syndrome (CRPS). A surgical nerve block is performed by a neurosurgeon and involves surgically removing or selectively damaging certain areas of the nerve. Like a neurolytic block, a surgical nerve block is usually reserved for severe pain cases, such as cancer pain or trigeminal neuralgia. Most surgical nerve blocks are permanent. Even a temporary nerve block such as an epidural carries a risk of permanent nerve damage. Because nerves are extremely sensitive and regenerate slowly, even a tiny error in calculation can cause devastating side effects. These include muscle paralysis, weakness, or lasting numbness. In some rare cases, nerve blocks may actually irritate the nerve further, causing an increase in pain. Fortunately, skilled and licensed health practitioners, such as dentists, surgeons, and anesthesiologists, perform these delicate procedures. While there is always a risk of nerve damage during these procedures, most nerve blocks successfully reduce chronic nerve pain. You may feel temporarily numb or sore after your nerve block, and you may notice some redness or irritation to the area. This is usually not permanent and should fade with time. If you have had a surgical block, you may be asked to rest for a certain period of time after your procedure. Depending on the complexity of the surgery, you may have to spend a few days recovering in the hospital. Some pain may persist after your nerve block, but that doesn’t mean the procedure wasn't effective. Additionally, some nerve blocks may cause swelling, which compresses the nerve and requires time to subside. If you find the side effects of your nerve block are lasting longer than expected, contact your doctor. American Pain Foundation. Treatment Options: A Guide for People Living With Pain. Accessed 6/9/09. Nocom G, Ho KY and Perumal M. Interventional Management of Chronic Pain. Annals of the Academy of Medicine, Singapore. 2009 Feb;38(2):150-5.